Food is what nourishes the body and makes us healthy and strong–especially when one’s weight hovers around 20 pounds! Infant nutrition is critical for ensuring proper development, maximizing learning capacities and preventing illness. At no other time in life is nutrition so important. But which foods are best? The research clearly points in the direction of Weston A. Price Foundation principles. So, what is best for baby? It comes down to nutrition! Hands down, healthy breast milk is perfectly designed for baby’s physical and mental development, but this is only true when mom supplies her body with the right nutrients. The typical modern diet is filled with products based on sugar, white flour, additives and commercial fats and oils, which do not nourish and build. The proper nutrients are necessary to create breast milk that will provide all a growing baby needs. These include good quality proteins from foods such as grass-fed meats and organ meats, good quality fats from butter, coconut oil, olive oil, cod liver oil and egg yolks, as well as complex carbohydrate-rich foods like vegetables, whole grains and legumes–think whole food, natural and seasonal, with a big emphasis on healthy fat. Ideally, breastfeeding should be maintained for a year, with a goal of six months for working mothers. The first year of life requires a full spectrum of nutrients, including fats, protein, cholesterol, carbohydrates, vitamins and minerals. Once breast milk is no longer the sole source of these nutrients, where should one go? There are three concepts to keep in mind. First, make your little one a “whole foods baby”! Avoid processed and refined foods as much as possible, including many brands of baby food; they are usually devoid of nutrients and have added “undesirables.” It is always best to make your own baby food from organic, whole foods. (You can freeze it in one-serving sizes for later use.) Better-quality, additive-free, prepared brands of baby food, like Earth’s Best, do exist, but it is still better to make your own baby food to be assured of the quality–plus making baby food puts mom on the right track for home food preparation for the years to come. Foods introduced too early can cause digestive troubles and increase the likelihood of allergies (particularly to those foods introduced). The baby’s immature digestive system allows large particles of food to be absorbed. If these particles reach the bloodstream, the immune system mounts a response that leads to an allergic reaction. Six months is the typical age when solids should be introduced,9,10,11 however, there are a few exceptions. Thus, a baby’s earliest solid foods should be mostly animal foods since his digestive system, although immature, is better equipped to supply enzymes for digestion of fats and proteins rather than carbohydrates.1 This explains why current research is pointing to meat (including nutrient-dense organ meat) as being a nourishing early weaning food. Is Cereal the Best First Food? Remember, the amount of breast milk and/or formula decreases when solid foods are introduced. This decrease may open the door for insufficiencies in a number of nutrients critical for baby’s normal growth and development. The nutrients that are often in short supply when weaning begins include protein, zinc, iron and B-vitamins. One food group that has these nutrients in ample amounts is meat. Choose a variety of foods so your child gets a range of fats, but emphasize stable saturated fats, found in butter, meat and coconut oil, and monounsaturated fats, found in avocados and olive oil. Don’t neglect to put a pinch of salt on the egg yolk. While many books warn against giving salt to babies, salt is actually critical for digestion as well as for brain development. Use unrefined salt to supply a variety of trace minerals. Around four months is a good time to start offering cod liver oil, which is an excellent source of the omega-3 fatty acids DHA and EPA (also important for brain develoment) as well as vitamins A and D. Start with a 1/4 teaspoon of high-vitamin cod liver oil or 1/2 teaspoon regular dose cod liver oil, doubling the amount at 8 months.12 Use an eye dropper at first; later baby can take cod liver oil mixed with a little water or fresh orange juice. A variety of fruits can be introduced at this time. Avocado, melon, mangoes and papaya can be mashed and given raw. High-pectin fruits such as peaches, apricots, apples, pears, cherries and berries should be cooked to break down the pectin, which can be very irritating to the digestive tract. As time goes by, move up in complexity with food and texture. At about six to eight months, vegetables may be introduced, one at a time so that any adverse reactions may be observed. Carrots, sweet potatoes and beets are excellent first choices. All vegetables should be cooked (steamed preferably), mashed and mixed with a liberal amount of fat, such as butter or coconut oil, to provide nutrients to aid in digestion. Baby can now consume a variety of foods including creamed vegetable soups, homemade stews and dairy foods such as cottage cheese, mild harder raw cheese, cream and custards. Hold off on grains until one year, with the possible exception of soaked and thoroughly cooked brown rice, which can be served earlier to babies who are very mature. After one year, babies can be given nut butters made with crispy nuts (recipe in Nourishing Traditions), cooked leafy green vegetables, raw salad vegetables, citrus fruit and whole egg. Keep in mind, all babies are different and will not enjoy or tolerate the same foods or textures. Experiment by offering different foods with various textures. Remember, just because your baby doesn’t like a food the first time it is introduced does not mean he will not like it the second time. Continue to offer the food, but never force. Baby’s food should be lightly seasoned with unrefined salt, but there is no need to add additional seasonings, such as herbs and spices in the beginning. However by 10-12 months, your baby may enjoy a variety of natural seasonings. To increase variety, take a small portion of the same food you are preparing for the rest of the grown-up family (before seasoning), or leftovers, and purée it for baby (thin or thicken accordingly). To gradually make food lumpier, purée half of the food, roughly mash the other half and combine the two. Keep a selection of plain yogurt, cottage cheese, eggs, fresh fruit, and fresh or frozen vegetables handy to prepare almost instant natural baby food any time–even when vacationing or traveling. Organic foods have minimal toxicity, thus placing a smaller chemical burden on the body. This is particularly a benefit for our youngsters. They are more vulnerable to pesticide exposure because their organs and body systems are not fully developed and, in relation to body weight, they eat and drink more than adults. Furthermore, the presence of these chemicals in the environment leads to further contamination of our air, waterways and fields. There are different ideas concerning when to offer babies water. Many resources suggest giving water about the same time solids are introduced. This is often in combination with cup drinking or sippy-cup training. Keep in mind, breast milk and formula are providing the majority of nutrients in the first 6-9 months, so it is important not to allow a baby to get too full on water. When solids become a larger part of the diet, more liquid may be needed for hydration and digestion. Also, extreme heat, dehydration, vomiting, and fever may also indicate a need for extra water. Bottom line: follow your baby’s cues. Always serve filtered water to your baby. You can add a pinch of unrefined salt to the water for minerals. 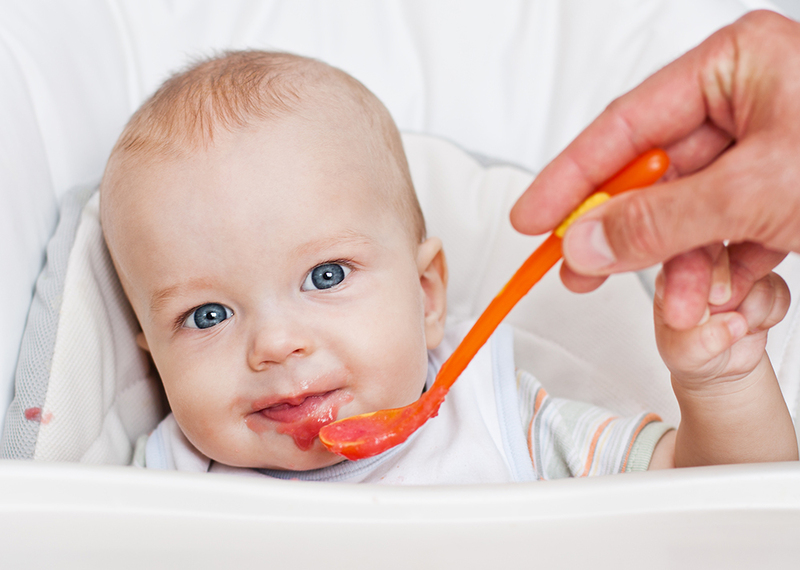 Let baby eat with a silver spoon–the small amount of silver he will get from this really does help fight infection! One important warning: do not give your child juice, which contains too much simple sugar and may ruin a child’s appetite for the more nourishing food choices. Soy foods, margarine and shortening, and commercial dairy products (especially ultra-pasteurized) should also be avoided, as well as any products that are reduced-fat or low-fat. By the way, baby fat is a good thing; babies need those extra folds for all the miraculous development their bodies are experiencing. Chubby babies grow up into slim, muscular adults. Common sense prevails when looking at foods that best nourish infant’s. A breastfeeding mother naturally produces the needed nutrition when she consumes the necessary nutrients. The composition of healthy breast milk gives us a blueprint for an infants needs from there on out. Finally, be an example. Although you won’t be able to control what goes into your child’s mouth forever, you can set the example by your own excellent food choices and vibrant health. Boil an egg for three to four minutes (longer at higher altitudes), peel away the shell, discard the white and mash up yolk with a little unrefined sea salt. (The yolk should be soft and warm, not runny.) Small amounts of grated, raw organic liver (which has been frozen 14 days) may be added to the egg yolk after 6 months. Some mothers report their babies actually prefer the yolk with the liver. From Nourishing Traditions by Sally Fallon. Cook meat gently in filtered water or homemade stock until completely tender, or use meat from stews, etc., that you have made for your family. Make sure the cooked meat is cold and is in no bigger than 1-2 inch chunks when you puree. Grind up the meat first until it’s almost like a clumpy powder. Then add water, formula or breast milk, or the natural cooking juices as the liquid. Place 1/4 pound organic chicken livers and 1/4 cup broth or filtered water in a saucepan, bring to a boil and reduce heat. Simmer for eight minutes. Pour into a blender (liver and liquid) with 1-2 teaspoons butter and a pinch of seasalt and blend to desired consistency. Use squash, sweet potatoes, parsnips, rutabagas, carrots or beets. Cut vegetables in half, scoop out seeds from squash and bake in a 400 degree oven for about an hour, or steam them (in the case of carrots and beets) for 20 to 25 minutes. Mix in butter when puréeing. You can cook these vegetables for your own dinner and purée a small portion in a blender or food mill for your baby. From Natural Baby Care by Mindy Pennybacker. Use fresh or frozen peaches, nectarines, apples, blueberries, cherries, pears, berries or a combination. Note: Whenever possible, use organic fruit, and peel the fruit if it is not organic. Cut fruit and put in a saucepan with 1 cup filtered water for every 1/2 cup of fruit. Bring to a boil; reduce to a simmer about 15 minutes or until the fruit is cooked. Purée the mixture in a blender or food mill and strain if necessary. Don’t add sugar or spices but you can stir in a little butter or cream. From Natural Baby Care by Mindy Pennybacker. Bring 2 cups filtered water to a boil with 1 pound unsulphured dried apricots and simmer for 15 minutes. Reserve any leftover liquid to use for the puree. Puree, adding the reserved liquid as necessary to achieve a smooth, thin puree. May be blended with some butter. Poke a few holes in 2 pounds sweet potatoes and bake in an oven at 300 degrees for about 2 hours or until soft. Peel and mash with 1 teaspoon seasalt and 4 tablespoons whey. Place in a bowl, cover, and leave at room temperature for 24 hours. Place in an airtight container and store in the refrigerator. From Nourishing Traditions by Sally Fallon. Mix 1 cup raw milk or whole coconut milk, 1 cup raw cream, 6 egg yolks, 1/2 teaspoon vanilla and a pinch of stevia powder. Pour into buttered ramekin dishes. Place ramekins into a Pyrex dish filled part-way with water. Preheat oven to 310 degrees and cook for about 1 hour. Blend 1 cup whole yoghurt with 1/2 banana or 1/2 cup puréed fruit, 1 raw egg yolk (from an organic or pastured chicken) and a pinch of stevia. Place 1 cup leftover cooked fish, 1/4 teaspoon seasalt, 1/4 teaspoon fresh lime juice in a food processor and process with a few pulses. Add 1/2-1 cup coconut cream or whole coconut milk to obtain desired consistency. Mix 1/2 cup freshly ground organic flour of spelt, Kamut® , rye, barley or oats with 2 cups warm filtered water mixture plus 2 tablespoons yoghurt, kefir or buttermilk. Cover and leave at room temperature for 12 to 24 hours. Bring to a boil, stirring frequently. Add 1/4 teaspoon salt, reduce heat and simmer, stirring occasionally, about 10 minutes. Let cool slightly and serve with cream or butter and small amount of a natural sweetener, such as raw honey. From Nourishing Traditions by Sally Fallon. Heat 2 cups chicken broth to a slow boil and add 1/4 cup soaked brown rice. Lower the heat, cover tightly, and let cook for 30 minutes or until it is almost done. Wash 3 ounces salmon thoroughly and remove all bones carefully. Add the salmon to the rice, cover, and let it poach for 10 minutes or until done all the way through. Allow the salmon and rice to cool enough that it can be puréed safely in the blender or food processor. If it is too thick, add just enough water to obtain the consistency you want. Season with a little seasalt.Serve with a puréed vegetable. From The Crazy Makers by Carol Simontacchi. Purée equal amounts of crispy nuts, raw honey and coconut oil. Add salt to taste. Serve at room temperature. From Nourishing Traditions by Sally Fallon. Up to 6 months: Certain foods, such as spinach, celery, lettuce, radishes, beets, turnips and collard greens, may contain excessive nitrate, which can be converted into nitrite (an undesirable substance) in the stomach. Leafy green vegetables are best avoided until 1 year. When cooking vegetables that may contain these substances, do not use the water they were cooked in to purée. Up to 9 months: Citrus and tomato, which are common allergens. Up to 1 year: Because infants do not produce strong enough stomach acid to deactivate potential spores, infants should refrain from eating honey.1 Use blackstrap molasses, which is high in iron and calcium. Egg whites should also be avoided up to one year due to their high allergenic potential. ALWAYS: Commercial dairy products (especially ultra-pasteurized), modern soy foods, margarines and shortening, fruit juices, reduced-fat or low-fat foods, extruded grains and all processed foods. Making homemade baby food may not be as easy as opening a can, but once you have organized a cook-and-freeze routine, it is a snap. This gives you the control over food choices and cooking methods, and allows you to avoid synthetic preservatives. With careful preparation, you will maximize the nutrient and enzyme content of your baby’s food. This will make for easier digestion and better overall nutrition. One timesaving method is to cook and purée a selection of fruits, vegetables, and meats in adult quantities, and freeze them in glass custard dishes or porcelain ramekins, or just clumps on a baking sheet. These cubes can be placed in freezer bags, labeled and sealed, available for quick thawing and reheating. Thawing in the refrigerator is the most nutrient-saving method. Simply place a covered dish containing food cubes in the fridge; they will thaw in three to four hours. It only takes one to two hours at room temperature. When on the go, put the cubes in a glass container and add hot water or place the container in hot water to thaw. Little attention is necessary to seasoning baby foods, but texture is important. Besides the basic taste, the smoothness or thickness of a food concerns baby most. To thin purées, use milk or formula. Puréed potatoes, winter squash, bananas, carrots, yogurt, nut or seed paste, and peas make great thickeners. The only special equipment you need is a food processor, blender or a baby food mill and a simple metal collapsible steamer basket. Don’t forget the unbreakable bowls, baby spoons, and bibs. Two-handed weighted cups for drinking lessons are also a must. How much at each meal? 365 Organic Rice Milk Vanilla: Filtered water, partially milled organic rice, organic expeller pressed canola oil, tricalcium phosphate, natural vanilla flavor with other natural flavors, sea salt, carrageenan, vitamin A palmitate, vitamin D.
Wilson AC, Forsyth JS, Creene SA, et al. Relation of infant diet to childhood health: seven year follow up of cohort children in Dundee infant feeding study. British Medical Journal, 1998; 316:21-5. Scariati PD. A longitudinal analysis of infant mortality and the extent of breast-feeding in the US. Pediatrics. 1997;99:5-12. Percival, Mark. D.C. N.D. Infant Nutrition. Health Coach System. 1995. Krohn, Jacqueline, M.D. Allergy Relief and Prevention. Hartly and Marks. 2000. Mendelsohn, Robert, M.D. How to Raise a Healthy Child in Spite of Your Doctor. Ballantine Books. 1984. Smith, Lendon, M.D. How to Raise a Healthy Child. M. Evans and Company. 1996. Thurston, Emory. Ph.D. ScD. Parents’ Guide to Nutrition for Tots to Teens. Keats Publishing. 1979. Sears, William, M.D. Sears, Martha, R.N. The Baby Book. Little, Brown, and Company. 1993. Enig, Mary. Ph.D. Dietary Recommendations for Children – A Recipe for Future Heart Disease? Accessed August 17, 2004. Pennybacker, Mindy and Ikramuddin, Aisha. Natural Baby Care. Mothers and Others for a Livable Planet. 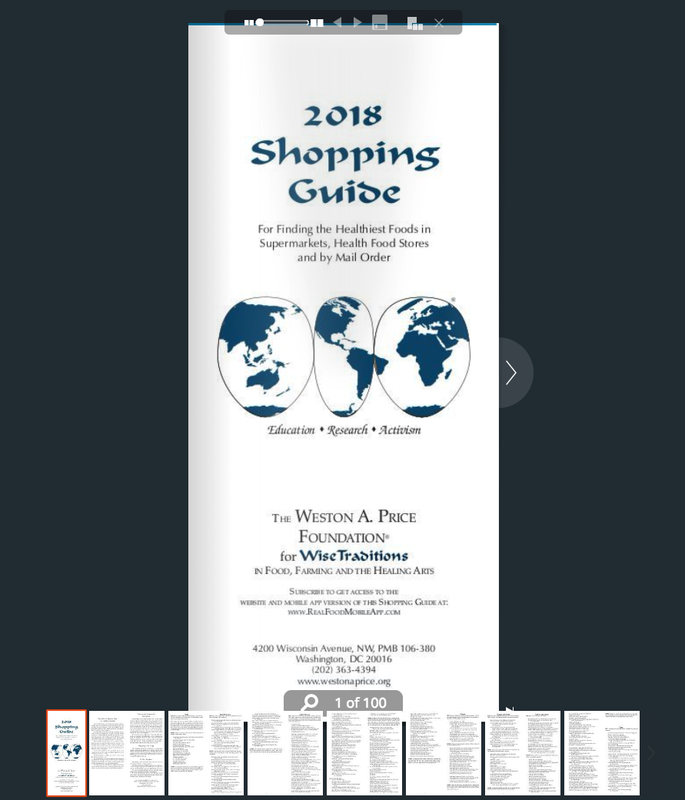 John Wiley and Sons, Inc. 1999. Cowan, Tom M.D. Feeding Our Children. Found at www.fourfoldhealing.com on January 12, 2005. Information found at www.wholesomebabyfood.com on December 29, 2004. This article appeared in Wise Traditions in Food, Farming and the Healing Arts, the quarterly magazine of the Weston A. Price Foundation, Summer 2005. I am very concerned to see almond milk listed as not good for babies or parents. I am currently breastfeeding a child with a dairy allergy and I only use almond milk for my cereal/ oatmeal. Can you please tell me why it’s bad?!? Thank you!! It looks to me like the article is warning you away from specific brands of milk that have chemicals such as carrageenan in them. You can make your own almond milk or find a brand that has minimal ingredients and nothing that you don’t recognise added in. I am wondering it they said no to that brand of almond milk because of the Carrageenan. WHat about almond milk without this ingredient, or homemade almond milk??? Homemade Almond milk is fine,there is a recipe for this in the Nourishing Traditions book. I wish I had this book 13yrs ago when I had my first daughter,it’s a great read. My daughter did well in the bone broth version of this diet for 1 1/2 months. She then developed diarrhea and it’s been a month straight. The doctors and nutritionist don’t have anymore ideas other than so much bone broth and I agree with them at this point. My child is severely allergic to milk, soy and now vitamin C seems to be bothering her too. She can’t have any probiotic that have been grown on diary either. We are out if ideas, shes grown the best on this diet, but it too has stopped being the solution as well. All the prescription formulas have failed in the way that she was still badly reacting to it and has really bad reflux. Since being on the bone broth diet, we took her off reflux mess and she was doing great. Any ideas on the this? Where do we go next? There is nothing anatomically wrong as we’ve done MRIs and such testing. Have you considered goats milk? Research it. You cant buy it in a formula i dont believe, but there is a recipe in nourishing traditions for infant formula and use goat milk instead of cow based? Im currently researching this so please do your own investigation I dont want to give out any bad advice, but maybe rhis will help. My baby is breastfed and dairy sensitive, and even if I drink kefir she has a hard time tolerating it. Non dairy probiotics like Water Kefir or Kombucha may work? if you are vegetarian, do you just leave out the meat and dairy? Key nutrients are in the meat and dairy so we don’t recommend leaving them out. Are we able to feed baby exactly how you’ve stated but baby led weaning? Thanks for posting all these recommendations and all of the research! Deeply appreciated! My daughter just turned 6 months old. She is strictly breastfed. I have recently tried egg yolks with her but they gave her intestinal distress and made her vomit. I am not a big dairy drinker but have been craving it. However every time I eat yogurt or drink raw milk my daughter colics. So my question is if these foods are so healthy for babies why does my daughter have such a problem with them? I know this is a bit tardy, but I wanted to respond since no one else did. I am curious if you used eggs from a local farm or bought them from the store? Even the ‘organic’ store eggs tend to have a pale yellow yolk as opposed to the healthy deep orange that a true local free-range small farm has, which has made me wonder if the nutrition content is different. Since she reacted to the egg yolks, for the sake of reference, definitely would need to stop and wait a month, before trying it again, since it’s possible she may have an allergy or simply not be ready. Also, with the raw milk: are you drinking goat’s milk or cow’s milk? Cow’s milk has a protein that is difficult for small babies to digest, which may be why she is having issues. Goat’s milk has a softer protein structure that is not so hard on the baby’s gut. And lastly – is the yogurt homemade full-fat, organic plain yogurt from the store, or a standard yogurt with cane sugar added? Obviously raw is best, and I am merely recommending the article I linked to for the sake of the information about goat’s milk, not as an authority on how to feed infants. Wonderful article! Thank you so much for posting. I am only feeding free range, organic, local foods to my daughter, and this provides the guidelines for type and amount that I’m looking for. Hi, could someone please explain me, when introducing egg yolk at 4th month, what time of the day is best, does it matter? Should the egg yolk be served on its own or in addition to one of the milk servings. Thank you. Any time you introduce a new food it should be during the day, when you will be able to observe if they have a reaction or not. (As opposed to night time, when they could react to food eaten and you may not notice because you/they are sleeping). As far as milk along with the egg, if they are already consuming breast milk (or formula) it doesn’t matter if they consume it along with the egg because you should already know if they can consume the breast milk or formula without reaction. My daughter is nearly 8 months and we have been following the recommended solids. Recently we noticed her stool to be clay like and she sometimes turned red face trying to push out. She usually has breatmilk after meals. Could there be too much fibre? She usually eats a mix of puréed meat with either sweet potato or carrot or some cooked apples and pears. Are you adding butter to the meat and some cream to the vegetables and fruit–it could be lack of enough fat. Baby should also be getting pureed liver and egg yolks. Should the Green Pasture cod liver oil in the baby formula be unflavored or is mint flavor ok? It would be best to use unflavored. Our 10 month old has developed mild-moderate eczema (on her body, not her face) since we introduced solids at 6 months (we do our best to follow the Nourishing Traditions recommendations, except we exclusively breastfed until 6 months rather than introducing solids at 4 months). We live in Australia and unfortunately don’t have access to raw dairy, so have yet to give her dairy other than occasional grass fed (but pasteurised) butter in cooking (we alternate with coconut oil) and the butter oil in the Blue Ice Royal blend gel (which she enjoys immensely!) … we’ve recently stopped using the butter in cooking, suspecting dairy could be the culprit but should we also stop the Blue Ice Royal and switch to the straight cod liver oil? Could my own dairy consumption (mostly butter, cream, yoghurt & cheese – rarely milk – grass fed, but again, all pasteurised) be an issue as she is also still breastfeeding? Seems unlikely considering she didn’t react to it during the exclusive breastfeeding stage. Thanks! You could cut out the butter oil to see what happens. I would give her lots of broth and use lard and lamb tallow for cooking. my eight month old is highly allergic to cow’s milk, buter, cream, anything with milk solids and lactose. what should i use as fat? You could use ghee and also lard and tallow. If mentions to cool the meat before pureeing? Is there any reason you couldn’t purée straight away? I have found that pureeing hot stuff tends to ‘explode.’ It may just be for practical reasons. ie. Explode from the container that you’re using to puree – messy and burn hazard. What brand of cod liver oil do you recommend for a 4 month old baby? My 7 month old is highly reactive to cow dairy — what fat would be best to add to foods in place of the often-suggested butter? Would lard or high quality olive oil be suitable? Just saw an above post about the lard and tallow being acceptable. Still curious about the olive oil as we use it a lot for the adults? Could you clarify the age stops. Food 6-8 or 6+ means it includes 6 month or the food can be given only after finishing 6th month? That’s what confuses me in all baby food talk. I’m first time mother. When they are 6 months after being born, they they really should have some solid food. For a big robust baby, this can start earlier, at 4 months. Try marinating the raw liver in home-brewed kefir. Does it matter if the chickens laying the eggs are fed soy? I am finding it difficult here in the UK to find any chickens that don’t have soy in their diets even organic ones. What do you suggest for commercial free cottage cheese? Having trouble finding options. Thank you!! I believe my 6 month old is sensitive to dairy as I have cut out all dairy and it has helped her reflux. That being the case, would an infant with lactose intolerance be able to handle whey (for lacto-fermenting)? I haven’t used it myself for fermenting just because I didn’t know if it is an issue. I would like to try the fermented sweet potatoes for her. Thanks! Oh one other question, does the type of broth matter? I have had the best luck getting a very gelatin like broth from lamb bones. Just curious if any type is preferable for infants. My baby is 5 months old and I am getting ready to introduce solids soon. At what age can I start to offer her raw salmon eggs? I have a question that I’ve been wondering about for awhile. What does it mean for a baby to be “mature” and possibly ready for soaked and cooked brown rice before 1 year of age? My daughter is almost 9 months old and eats meats, liver, fruits, and vegetables, with the occasional bit of raw milk kefir. I have tried my best to follow the recommended diet for nursing moms and she nurses about 6 times a day but her weight gain was very slow until she stated eating 3 square meals a day. If she still seems hungry with plenty of food and breastmilk, is brown rice a good idea? Or would her small size indicate “immaturity”? By the way, I do add butter or coconut oil or cream to all her foods. As for egg yolks, she reacted to them a couple of months ago so I am just now starting to reintroduce them. She also seemed to react to yogurt (from pastured milk, she got red spots on her face) so I haven’t tried giving her any soft or hard cheeses yet. That was supposed to be yogurt from pasturized milk. I’m concerned that this article advises giving babies something besides formula or breastmilk before 6 months of age. Current research has pointed out that the infant gut is not equipped to handle anything before this point, period. The AAP, WHO and the CDC all agree that giving food before 6 months has been linked to skin issues like eczema & hives, seasonal allergies, chronic respiratory infections/ear infections, Inflammatory Bowel Disorder, Autoimmune Diseases etc. I agree with all your points on nutrition, as well as skipping the usual first food of cereal, but please do NOT advise parents to begin food before 6 months! Hello, I `ve been told that avocado blocks the absorption of A, D and vitamin K2 because the avocado has monounsaturated and polyunsaturated fats. So will not the baby could exploit vitaminenen in egg yolk if it is served with avocado. Is there someone who can more about this out there? Hello, I gave my baby at around 4 months old Green Pasture fermented cod liver and butter oil mix but it caused diarrhea every time I gave it to her. So had to stop. Now she is 5.5 months. Do you think I should try again? If so, at what age? What kind of CLO is recommended and where can I get it? Green pastures fermented cod liver oil is best. My daughter measured 14lb & 25″ at 3 months, 11 days. She is now 4 months old, exclusively breastfed up til this past week and is lip tied & can’t drink breastmilk from a bottle, so I am starting solids to give her something to appease her hunger when I am stuck on a work call (I work from home.) She is getting her tie revised this upcoming week, but in the meantime she has tried both ripe banana, mashed, and avocado and loved them. She almost sits up on her own & only pushes food out of her mouth maybe every 4-5 spoons. She eats about a teaspoon at a time. Her doctor said to start solids between 4 & 6 months; would it be alright to give her grassfed beef pureed with bone broth in the Vitamix? Do I need to skim the fat? I was thinking to leave it in. Wondering what kind of kefirs are best for 9-12 months old? Planning to order them from Miller’s Organic Farm. Thanks! When is it safe to feed infants berries, peaches, etc. be given without cooking them? My baby loves egg yolks and can easily have 2. How many is too much? I am no expert, but if they were close to a year and more on solid foods I wouldn’t have a problem giving them 2 egg yolks. And then of course after they can do the white this group recommends adding extra yolks into an egg like for scrambled eggs or omelets! I give my one year old an extra egg yolk if I make them scrambled but I am pretty sure as long as it’s not a ridiculous amount then 3 or 4 egg yolks aren’t harmful as long as it’s not a little baby under like 2 years old. What I do with the fermented sweet potato is I warm it in a glass bowl over a saucepan of simmering water to heat it without killing the good bacteria. Then I add a pastured raw egg yolk, a pat of grassfed butter, splashes of cream, some cinnamon, and a tsp or 2 of coconut sugar and give it to my baby as a cereal and she’s loves it! That sounds great! I would use ghee, sour cream, and molasses. Great idea! Can you please clarity, what are “crispy nuts”? Also I understand that nits contain a lot of physic acid what is be best way to reduce the physic acid levels? My 14mo has never been chubby. He had a little baby fat but not much. I breastfed him for a year and made most of his food. We purchased baby food from places I don’t even want to admit now that we are learning more from WAPF. He is a picKY eater and really I feel like I’m not doing something right. Would Nourishing Traditions help our situation? We have exclusively breastfed our baby who is six months old now. We would like to ask if delaying introducing solids might be OK or would it be harmful for the baby? We are thinking of delaying solids to ensure his digestive system is sufficiently mature to deal with the foods. Would you mind to comment? Thank you. I would like to know how much protein he needs, he has eleven months and weighs over eleven kilos. And how much volume should he eat? He eats around 300 ml (only vegetables, bone broth and protein in his meals) is it ok? But I like to know the correct proportion meat-vegetables (I do not want to exaggerate the protein). Thanks! !